The DRUG Pricing Database contains all the information required for ordering, dispensing and invoicing medicines and other articles in the usual pharmacy range. 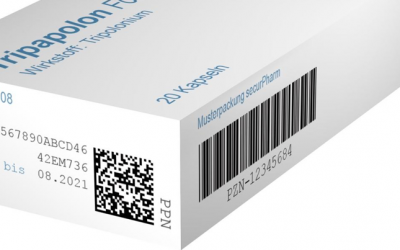 In addition to price information, it contains pharmaceutical-legal information and a large number of other packaging-related data. No other database illustrates the daily balancing act between the healing profession and the merchant as clearly as the Drug Pricing Database. 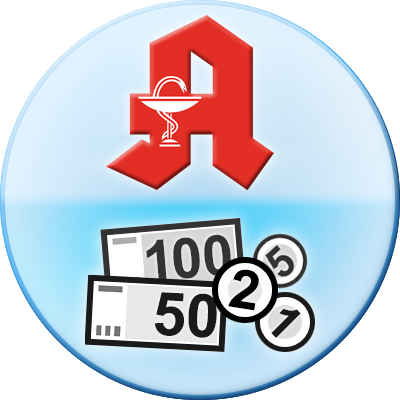 It is the heart of modern merchandise management systems used in pharmacies and clinics. 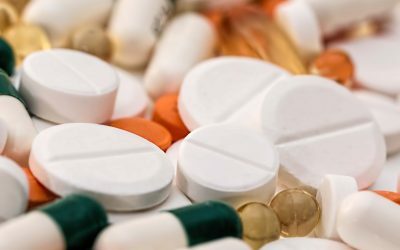 In addition, health insurance companies, institutions, authorities or pharmaceutical entrepreneurs profit from the Drug Pricing Database, which is indispensable for a safe fulfilment of legally anchored tasks and which takes into account the constantly rising need for information by continuous advancement. The data are based on reports from the providers to IFA GmbH. These are edited by ABDATA Pharma-Daten-Service and extended by essential additional information. The structured and careful collection of the data guarantees the reliability of the information. The Drug Pricing Tool Germany – ABDA-Artikelstamm (Taxe) includes all economic data for all drugs sold in pharmacies in Germany. Enter “Humira” in the Drug Pricing Germany Tool field free text search. The basic data in the DRUG Pricing Database (ABDA-Artikelstamm) primarily serve for an unmistakable identification of the article. In addition to the PZN, attributes such as article description, dosage form, package size including unit of measurement of the quantity, article type and ABDATA product group code provide detailed information about the article. The article description distinguishes between short name (26 digits) and long name (50 digits). For ranges such as compression and support stockings, the long names provide detailed information on quality, colour and size. The article type is used for differentiation if the short name, dosage form, package size and supplier are identical. This is the only way to distinguish the so-called standard packaging of a finished drug from hospital packaging, pandemic articles or approved canned goods for patient-specific drug supply. Each article is assigned an alphanumerically structured ABDATA merchandise group code. There are A and B material group codes. 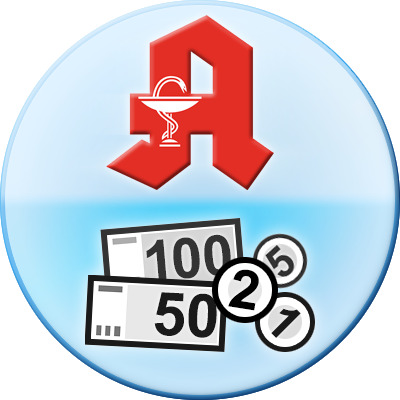 The A merchandise category code primarily identifies drugs requiring pharmacy services. In the A area, the character string following the first character (A) corresponds to the WHO ATC code . The ABDATA commodity group code AN02BA01 (Tab. 1.) results accordingly for Aspirin® tablets. Drug/chemical (this includes substances which are used in pharmacies as starting material is used for the manufacture of medicinal products or other products and laboratory substances). 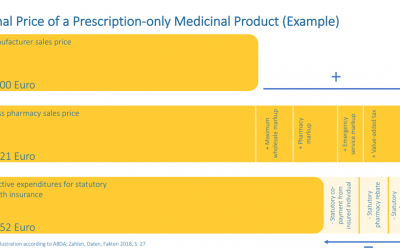 Price information is at the heart of the article information within the DRUG Pricing Database (ABDA-Artikelstamm) and its additional module ABDA-Artikelstamm Plus V. For prescription drugs, pricing is complex and strictly regulated. The AMPreisV according to AMG serves to calculate these prices and regulates fixed surcharges on the manufacturer’s selling price up to the final price, which is the same in all pharmacies. The fixed amounts, the reimbursement amounts according to § 130b SGB V or the discount contracts (in which the pharmaceutical entrepreneur promises an agreed discount to a health insurance company) have an influence on the pricing. If a drug is subject to the fixed amount regulation, the health insurance funds do not reimburse more than the maximum amount fixed for it. If the price of a drug is higher than the fixed amount, the patient must pay the surcharge himself. However, if the patient receives drugs that are 30 percent or more below the reference amount, he is exempted from the statutory co-payment. If a health insurance company agrees discounts for certain preparations with individual providers, it can exempt its members from the co-payment up to 50 percent or 100 percent. The references to the distribution channels reported by the supplier provide important information on the purchase of the articles. A distinction is made between distribution via public pharmacies, pharmaceutical wholesalers, hospital pharmacies or pharmacies supplying hospitals or other retail outlets. If an article is a clinic module, reference is made – if reported by the supplier – to the corresponding clinic packs of which this article is a component. A hospital module describes a finished drug package that is a subunit of a hospital package and may not be dispensed separately. The supplier informs about the sales status whether his articles are “in sales”, “out of sales” or “withdrawn”. Articles that are marked as “not for distribution” may be sold off, provided there is nothing to the contrary (such as their marketability). A reference indicator (PZN) is used to refer to a successor product for articles that are “not for sale”. The referenced follow-up article is a sensible alternative with the same or similar intended purpose; suppliers of drugs or medical devices are required to interpret their notifications so narrowly that drug/product safety is guaranteed. Only drugs which are withdrawn from the market in connection with the negotiations on the reimbursement amount (in accordance with § 130b SGB V and are therefore no longer intended for sale and distribution) are given the “withdrawn” sales status. These articles will therefore be deleted from the database three months after their identification. However, this is an extremely rare case. The link between original and imported preparations via a reference (PZN) as well as the import groups developed by ABDATA serve the implementation of the framework agreement according to § 129 SGB V. Corresponding comparisons, as provided for in the framework agreement, can thus be carried out on the basis of the currently reported prices (determination of the import quota). An address database integrated in the Drug Pricing Database (ABDA-Artikelstamm) informs about the suppliers of the listed articles. It is based on the IFA data and is supplemented by the service lines created by ABDATA. The service lines provide information about further communication and information channels that facilitate direct contact (e.g. to the medical-scientific department). For the storage of the articles different data are essential. For example, it is necessary to know which storage temperatures must not be exceeded or undercut for certain articles. In the case of temperature-sensitive articles, the reference to transport within a cold chain must also not be neglected. Information as to whether articles should be stored in a dry place, whether there is a risk of breakage, whether they should be stored lying down or upright, or whether they should be protected from light or sunlight can be found in the Drug Pricing Database (ABDA-Artikelstamm) for specific packs. In addition, dimensional data are available which include the outer wrapping in the case of packaged articles. The packaging dimensions are required in particular when the picking of articles is automated. If an article has an expiry date, the guaranteed shelf life of the article is indicated in months, calculated from the time of manufacture. The shelf life refers to the unopened condition of the article.